We’ve made it to the finals! After weeks of voting, we’ve narrowed down our Toy Bracket to the final two products. 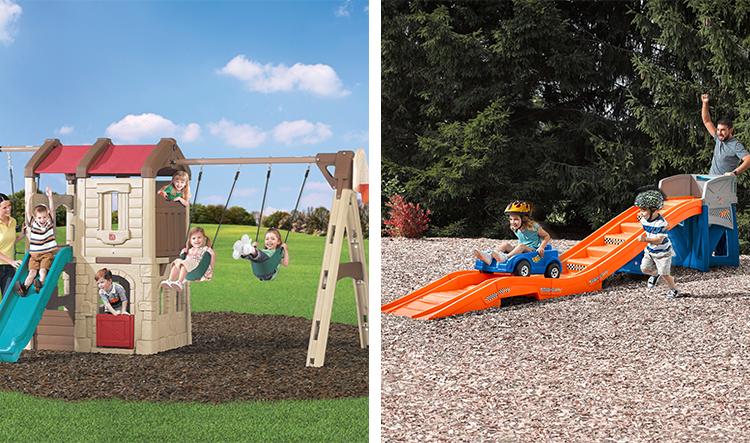 Without further ado, our finalists are the Naturally Playful Adventure Lodge Play Center and the Hot Wheels Extreme Thrill Coaster! The Hot Wheels Extreme Thrill Coaster just edged out the Grand Walk-In Kitchen by less than 1%. With the elimination of the Rain Showers Splash Pond Water Table, there is no number one seed left. Is one of your favorites in the finals? 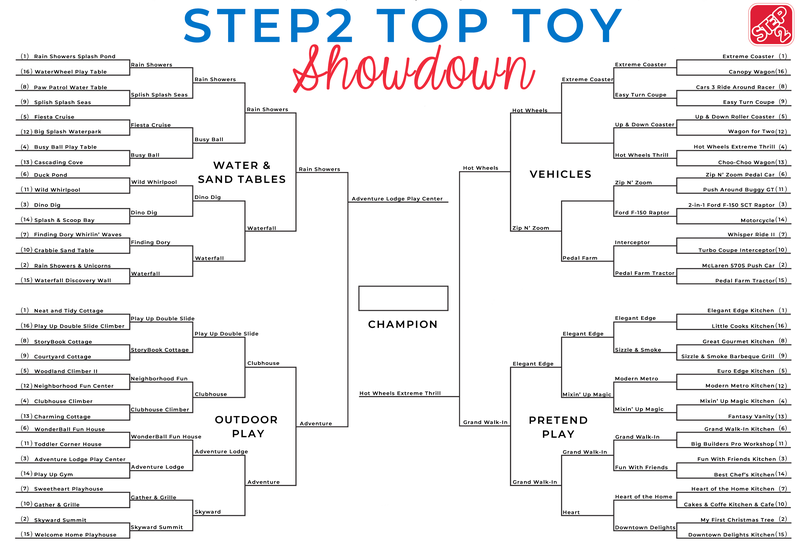 Make sure to vote today to help us crown the winner of the Step2 Top Toy Showdown! Voting for the Final Round opens at 8:00 am ET on Thursday (4/4) and will run until 8:00 pm ET on Sunda (4/7). The ultimate winner will be announced on Monday (4/8). Good luck for the 2 finalists I voted!! ?? Both are great!!! Kids are nuts over the Hot Wheel Coaster, but Adventure Lodge can entertain more children at once. Adventure lodge for the win! Adventure Lodge Play for us!! Simple vote ! Kids would love it!